Islay Mist Blended Scotch was originally created on the Scottish island of Islay in 1922 to celebrate the 21st birthday of Lord Margadale. It was thought that the local single malt scotch, Laphroaig, might be too heavy for all the guests’ taste so this unique blend of Laphroaig with Speyside malts and grain whisky was born. What was achieved was a perfect synthesis of the unmistakable notes of peat, smoke and sea air found in Islay malts and the smoother, sweeter hints of Speyside malts. The quality of Islay Mist has been recognized by the world’s most famous whisky connoisseurs, including in the 2008 World Whiskies Awards. Islay Mist is available in 4 expressions: Peated Reserve , 8 Year Old, 12 Year Old and 17 Year Old. 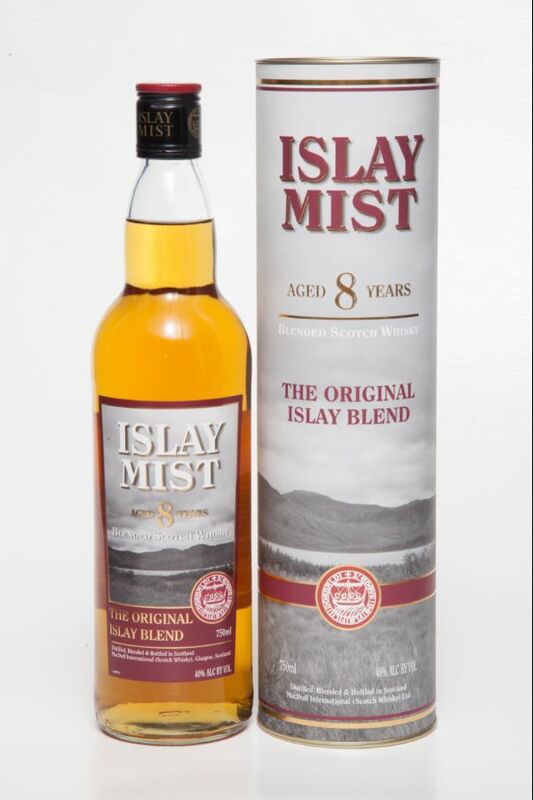 Islay Mist Peated Reserve and Islay Mist 8 Year Old offer unbeatable value for money. No other blended scotch has this much character at a great every day price. A step up in character and quality from the standard premium blended scotches.